Scientists in Egypt discovered the remains of a prehistoric whale inside another whale — both of whom ended up inside the belly of a massive shark. It's the equivalent of a series of Russian nesting dolls — except a bit more prehistoric. Scientists in Egypt discovered the remains of a whale inside another whale — both of whom ended up inside the belly of a massive shark. 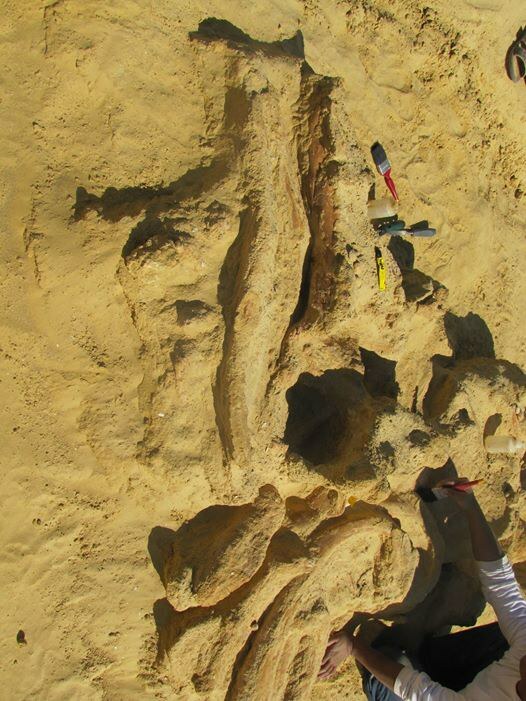 In the appropriately-named Valley of Whales, a paleontological site some 90 miles from Cairo, a team of researchers discovered the bones of a Basilosaurus, a type of early carnivorous whale who roamed the oceans some 40 million years ago. 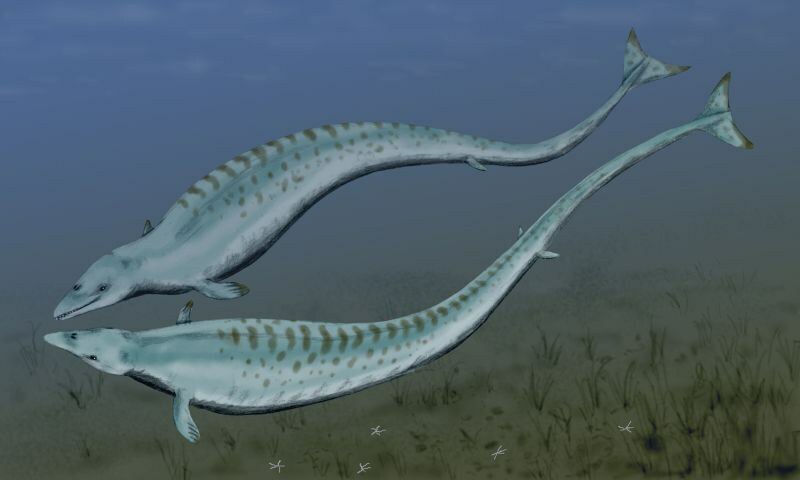 Around this smaller whale was the remains of a larger Basilosaurus, whom scientists say was either the first whale's mother, or its eater. 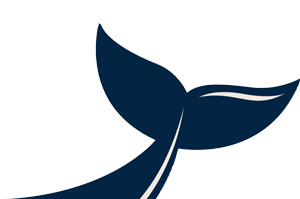 Right next to the whales, paleontologists uncovered a pair of shark teeth, leading them to believe that the whales became a meal for hungry ancient sharks, perhaps after the larger whale died. Egypt's Ministry of Environment shared several photos of the startling discovery on its Facebook page. 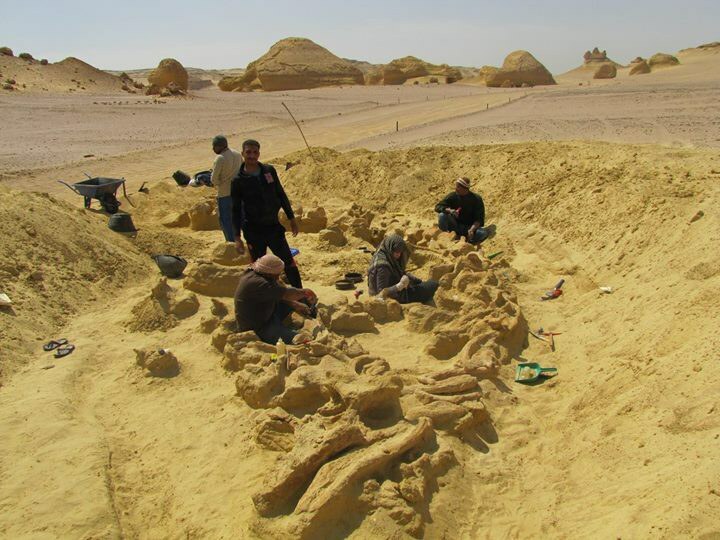 As if finding three remains in one wasn't enough, the find also marks the first time a complete basilosaurus skeleton has ever been dug up, according to the Cairo Post.